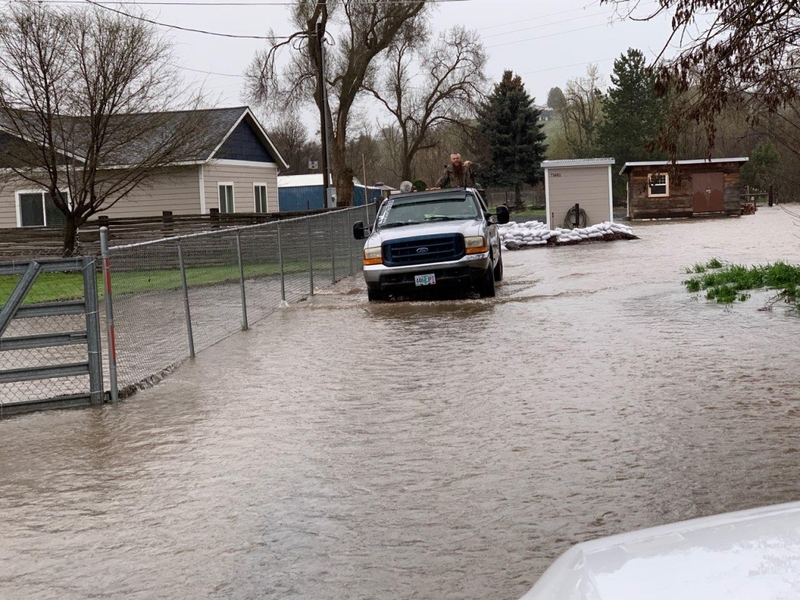 PENDLETON, Oregon – Both the Pendleton City Council and the Umatilla City Council will consider declaring a state of emergency because of the weekend flood. The Pendleton council has added it to the agenda for its regular meeting at 7 p.m. The Umatilla council is holding an emergency meeting at around 8 p.m. to take up the issue after its budget committee work session. Meanwhile a community meeting about the McKay Creek flood is scheduled for tomorrow at 6 p.m. at Sherwood Heights Elementary School. State Sen. Bill Hansell (R-Athena) and Rep. Greg Barreto (R-Cove) Monday carried a request to declare Umatilla and Wallowa counties as states of emergency because of the flooding. Hansell tells KUMA News that request was later denied. The state has benchmarks that have to be met and officials tell us that once the extent of damage is more fully assessed, the state of emergency declaration from the state of Oregon could be approved. Pendleton Police Chief Stuart Roberts said it was a rough weekend in Montee Addition, but the flooding gave him a look at the good side of humanity, as people came from near and far to help people they didn’t even know. Roberts said that while the bureaucracy that surrounded the flooding was not ideal, the people who took action without filling out forms and holding meetings was humanity at its best. National Weather Service Hydrologist Marilyn Lohmann, said the high release of water from the McKay Reservoir was the result of unanticipated high temperatures melting the snowpack, combined with an abnormal amount of rainfall south and southeast of Pilot Rock. Lohmann said that even if there isn’t a drop of rain or a flake of snow for the rest of the month, the community of Meacham has set a record for precipitation. Crews have been working round-the-clock at the Pendleton Wastewater Treatment Plant, where a private bridge is compromised due to the high water. Officials worry that if that bridge failed totally, the plant could be inundated with flood water. A diversion trench has been dug around that bridge. Supervisor Mark Milne says that inside the fence, things are going much better than expected.